Vegetarian if you ask for no bacon! Traditional English breakfast: Fresh scrambled eggs, sausage link, bacon, ham, baked beans, baked tomato, sauteed mushrooms and potatoes, with butter croissant and black pudding. I myself am a Gryffindor, but I have friends in all the houses so it’s been a fun week seeing everyone’s photos this week talking about their house pride! What house are you in? 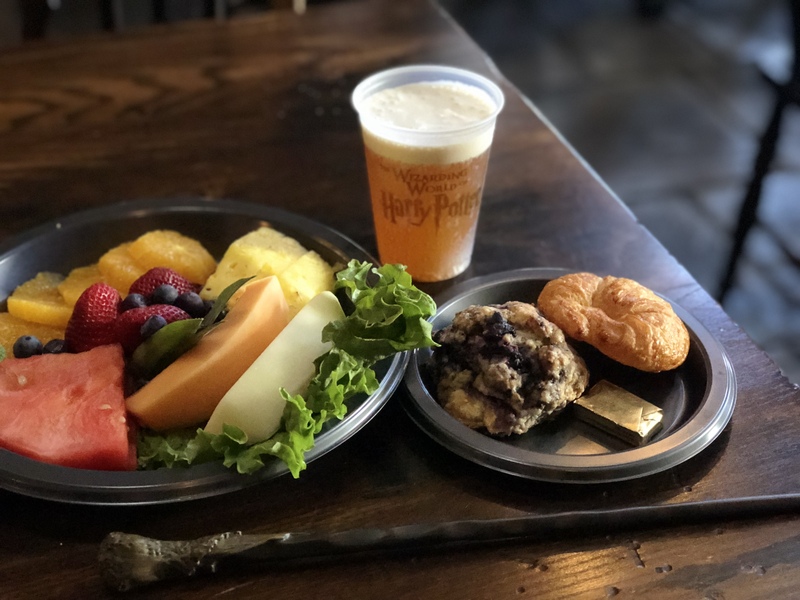 And what would be your breakfast of choice from Three Broomsticks Wizarding World of Harry Potter Universal Studios Hollywood?